Dr. Barry Bittman, a firm believer in the mind's power to influence the body's—or a whole community's—health, will speak at the Presbyterian Church of the Big Wood in Ketchum at 5:30 p.m. on Thursday, July 26. The free lecture, hosted by the St. Luke's Wood River Foundation, will cover Dr. Bittman's "new paradigm" for treating the "whole person and engaging communities in the active pursuit of health and well-being," a St. Luke's news release states. Dr. Bittman is the kind of doctor who's committed to shaping the future of healthcare. Through numerous innovative, disease-based projects and patient-focused programs funded by leading healthcare insurers, he has developed a novel series of care models. 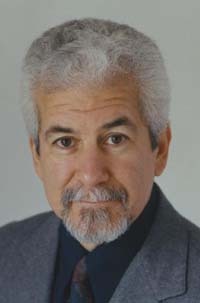 His medical perspectives are compiled in his books "Reprogramming Pain," which Dr. Bittman wrote to help individuals transform pain and suffering into health and success, and "Maze of Life," co-written with Anthony DeFail, which knuckles down on restoring hope, meaning and purpose amid life's challenges. Dr. Bittman has also spread his word as the former host of the nationally syndicated Public Radio program "Mind-Body Matters" and as the author of the newspaper column "Mind over Matter." Dr. Bittman's work has been featured on CNN Headline News and in numerous leading publications throughout the world, including USA Today, Business Week, Time, Prevention, Discover, O (Oprah magazine), the New York Times, the San Francisco Chronicle, the Washington Post, Scientific American, Men's Fitness and others. Beyond crusading for the future of healthcare, writing on medicinal philosophy and rocking the radio mic, Dr. Bittman is also the CEO of the Yamaha Music & Wellness Institute, a nonprofit organization that is actively engaged in research with the Cleveland Clinic and the MIT Media Lab. Much of Dr. Bittman's peer-reviewed published scientific research focuses on stress reduction.